Let’s be honest with each other – we’ve both daydreamed about zipping through the skies on a futuristic jetpack. That dream is now very close to reality, as Martin Aircraft claims it will have a jetpack ready for sale starting next year. NPR chatted with Martin Aircraft CEO Peter Coker to get the details on the flying machine, which is expected to fly as high as 8,000 feet and hit ground speeds of 35 miles per hour. Unfortunately, it’s a bit big to call a pack and it’s not technically a jet, but let’s not bother ourselves with semantics when the future is at our doorstep. Most of the testing so far has been performed using dummies and remote controls, but New Zealand recently approved the company to perform manned tests. Badass one-manned flight won’t come cheap though. NPR notes that individual and commercial sector models could cost between $150,000 and $175,000, while a military version could run $250,000. 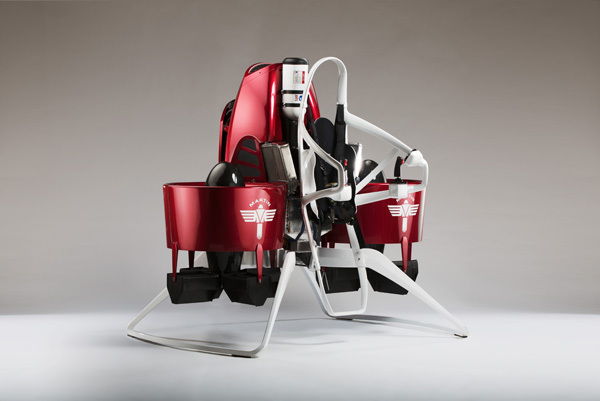 The jetpack, which features a 200-horsepower gasoline engine, is intended to help first responders and firefighters. Martin Aircraft is also aiming to release a $100,000 simplified consumer version in 2015, according to Slate. That should give you plenty of time to save up for it.